This photo was taken back in September of 2009 at Mickey's Not So Scary Halloween Party. The cast members at the Haunted Mansion get very creative with their costumes on party nights. They get even creepier by adding makeup and wigs. It really accentuates the already amazing story of the Haunted Mansion. Happy Halloween! As I've written about many times on Digital Disney World, the iPhone is an extremely useful tool while on a Disney vacation. There are so many great apps and mobile websites available to help you get the most out of your trip. However, today I'd like to highlight a few uses for the iPhone that may not have crossed your mind. The first has to do with preventing the loss of your stuff, and the second is related to the safety and security of your kids. I recently read a very interesting news story about a Walt Disney World guest who had been robbed while vacationing with his family at the Wilderness Lodge. He was swimming in the resort pool and had left his bag unattended. It contained two wallets with credit cards and cash, identification, hotel room keys, a digital camera, and two iPhones. After emerging from the pool, he realized his bag had been stolen. Although he was obviously unhappy with the situation, he knew that there was a chance he could locate his stuff because he understood the power of the iPhone. This guest quickly went to the front desk to pick up a replacement key, and rushed back to his room where he fired up his laptop. Through the magic of modern technology, specifically Apple's "Find My iPhone" app, he was able to locate his iPhone on a map and narrowed its location to the vicinity of the resort boat dock. He alerted security who accompanied him to the dock where they saw a suspicious looking man boarding the ferry to the Magic Kingdom. The security guard then downloaded the "Find My iPhone" app to HIS phone and logged in using the guest's account. After determining that the thief was indeed on the ferry to the Magic Kingdom, the security guard and guest jumped into a patrol boat and a chase ensued on the waters of the Seven Seas Lagoon. After the ferry docked, the bad guy was quickly apprehended and the bag returned to its rightful owner. This is a great example of how valuable an iPhone can be when you are on vacation. Yes, the app was specifically designed to help you locate your lost phone, but for this guest it helped him retrieve alot more than just one iPhone. Although it may not be a great idea to leave valuables in an unattended bag while going for a swim, I'm sure we've all done it at one time or another. As safe and secure as the Disney resorts are, unsuspecting tourists sometimes make good prey for the criminally inclined. 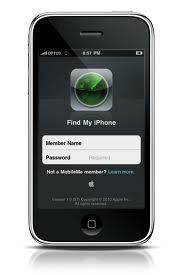 If you have an iPhone, it just makes sense to have the "Find My iPhone" feature enabled. For iOS 5 users, it can be found under the iCloud section of "settings." Also, make sure you always have "location services" turned on. Finally, if you need to locate a lost phone, you can simply go to icloud.com or use the "Find My iPhone" app on another Apple device. The second use for an iPhone that I'd like to quickly highlight will seem very simple compared to the above mentioned tracking technology. However, when it comes to the safety of your kids, this simple tip can be extremely useful in an emergency. Early in the morning, take a picture of your child with your iPhone (or any other camera phone for that matter). Now, on the off chance that you become separated or the child gets lost, you can show Disney cast members a current photo with exactly what he or she is wearing that day. This can be very helpful in the search for the missing child. Don't get me wrong, Walt Disney World is one of the safest places to go on a family vacation. However, as a parent, I'm always looking for that extra measure of security when it comes to our little guy. Better safe than sorry! This picture was taken in September of 2009 at Mickey's Not So Scary Halloween Party at the Magic Kingdom. In case you couldn't tell, our three year old little man was a big fan of Buzz Lightyear! This photo was from back in April of 2003. It was taken at Disney MGM Studios (as it was called then). My bride's all-time favorite character is Tigger. For her, this was like meeting a rock star! This picture was taken in January of this year. I was on the World Showcase promenade when I took this shot of the backside of the United Kingdom in Epcot. You can see the evolution of British architecture if you look from right to left. It starts with the thatched roof cottage and continues to the more modern brownstone. This photo was taken on our trip in July of this year. We were on a boat in Village Lake traveling from the West Side of Downtown Disney to the Marketplace. The Lego Store had recently been refurbished and enlarged. On a related note, Central Florida's newest theme park, Legoland, just opened on October 15th in Winter Haven. We are looking forward to checking it out on a future trip. This picture was taken on our most recent trip in July. I was atop the Contemporary Resort which allows for some of the best views on Disney World property. The big, round topped building on the left houses Buzz Lightyear's Space Ranger Spin and the Monster's Inc. Laugh Floor. Right in front of that, hidden by some trees, is the Carousel of Progress. Along with the obvious Astro Orbitor and Cinderella Castle, you can also see Big Thunder Mountain Railroad in the distance. Although Walt Disney World opened on October 1st, 1971, the official opening ceremony and dedication wasn't until almost a month later on October 25th. It was a monumental day in Disney history and very memorable for several reasons. There were huge performing groups including a 1,076 member marching band that paraded down Main St. USA, and a 1,500 voice choir that sang "When You Wish Upon A Star" and other Disney favorites. The most significant part of the day, however, was the dedication speech given by Roy Disney. When Walt Disney died five years earlier, Roy put off his own retirement to see his brother's dream of Disney World become a reality. As the story goes, it was Roy who decided to change the original Disney World name to "Walt" Disney World in honor of his brother. On this dedication day, Roy was certainly missing Walt. As told by John Hench in his book Designing Disney, Roy Disney stood facing the microphone before a crowd of guests ready to deliver the dedication speech at the opening ceremony. He suddenly turned and looked around and said quietly, "Somebody go find Mickey for me. We don't have Walt any more, and Mickey is the nearest thing to Walt that we have left." 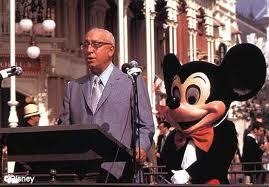 Mickey appeared and Roy promptly began his speech, with Mickey proudly at his side. WALT DISNEY WORLD is a tribute to the philosophy and life of Walter Elias Disney.... and to the talents, the dedication, and the loyalty of the entire Disney organization that made Walt Disney's dream come true. May Walt Disney World bring Joy and Inspiration and New Knowledge to all who come to this happy place.... a Magic Kingdom where the young at heart of all ages can laugh and play and learn - together. Dedicated this 25th day of October, 1971. Roy saw his brother's dream realized and was finally ready to retire at the age of 78. Unfortunately, less than two months after the dedication, Roy died unexpectedly of a massive brain hemorrhage, on December 20th, 1971. In 1999, in almost the exact spot where Roy dedicated the park, a statue entitled "Sharing the Magic" was installed. This tribute features Roy sitting on a park bench holding Minnie's hand. It was created by an 81 year old Blaine Gibson, the acclaimed sculptor responsible for creating an untold number of figures for the Disney parks, including the "Partners" statue of Walt and Mickey. Blaine purposely had Roy support Minnie's hand from underneath in acknowledgement of how Roy supported his brother in their new business venture. The plaque that Roy dedicated on this day in 1971 sits right next to the sculpture. This is certainly a fitting tribute to the man who was responsible for carrying out the enormous task of fulfilling Walt's dream. This photo was from April of 2007. You can see that I'm sitting next to Roy Disney and Minnie Mouse in Town Square at the Magic Kingdom. 40 years ago today, at this location, Roy gave his famous speech dedicating the Magic Kingdom to his brother Walt. This shot was taken in April of 2010. This band is set up right near the "Finding Nemo, the Musical" attraction in Animal Kingdom. It is another example of the many live entertainment offerings to be found at Walt Disney World. This photo was taken in April of 2010. This is one of my favorite nighttime views in all of Walt Disney World. I took it from directly across World Showcase Lagoon somewhere between Italy and America. I just made this picture my desktop wallpaper. This photo was taken in April of 2004. This was a short little "Hoedown" parade that made its way through Frontierland. It featured a bunch of dancers along with the characters from the Country Bear Jamboree. It was just another example of live entertainment that is prevalent throughout the parks. Once in a while I come across a Disney related website and ask myself: "How could I have possibly missed this one for so long?" This is certainly the case with the Walt Disney World Entertainment site which can be found at wdwent.com. Until now, I hadn't found a good resource for a schedule of the live shows, character greetings, and other great entertainment offerings at Walt Disney World. When I stumbled upon wdwent.com, I could only think of one simple word: JACKPOT! The Walt Disney World Entertainment website was created by Disney World enthusiast, Steve Soares. Apparently, the site has been around for many years. Steve lives in the Orlando area and his weekends are usually spent at one of the Disney parks. His enjoyment of the live performances led him to create this incredibly useful website. 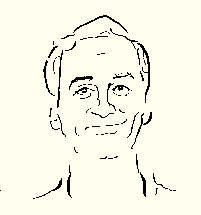 Steve is a computer consultant by trade, and it seems that his favorite park is Epcot. Wdwent.com is very user friendly and the entertainment schedules are categorized under seven major headings. There are the four parks, Downtown Disney, Boardwalk, and Annual Events. You simply click on the any of these tabs and you will find complete listings of what to expect in the way of live entertainment. Everything from musical groups, to parades to fireworks shows are found here. One of the best elements of the site are the details surrounding character greetings. Common questions that people have revolve around the times and locations of specific characters. Steve does a fantastic job of answering these questions. Not only can you see which characters are scheduled to appear, but exactly where to find them. This is an invaluable resource for parents with young kids. In addition to the specific entertainment options, each park section also lists the operating hours and extra magic hours for the week. Another great aspect of Walt Disney World Entertainment is the way that Steve links detailed information about each listing. There are so many live offerings at Walt Disney World that their names may not be known by a majority of guests. All you have to do is click on the show, character, band, etc., and you will be connected to a great description of what to expect. For example, many new visitors may not have a clue who the Dapper Dans are or what the Electrical Water Pageant is. One simple click on the link, however, puts the inquisitive guest in the know. The final tab I would like to mention is the one labeled "Annual Events." This comprehensive list gives us a brief description of each event. In addition, clicking on a name takes you right to the actual website dedicated to each event. This is especially useful when planning your trip. As most of you know, I am working to raise money for the Make-A-Wish Foundation by running in the Disney 5K, which takes place during Marathon Weekend in January. A link to the event's website can be found in this section of wdwent.com. Steve really leaves no stone unturned when it comes to keeping us up to date with the entertainment schedules at Walt Disney World. It appears that he is constantly updating the site and the information is timely and accurate. However, it should be said that Disney does make last minute changes from time to time so we need to cut Steve some slack if this occurs. Overall, though, if you are looking for a one stop resource for the entertainment at Walt Disney World, look no further than wdwent.com. You can also access the mobile version on your cell phone at wdwent.com/index2.htm. DDW Pic 56. DinoLand U.S.A. This picture was taken in January of 2010. Our little man is enjoying the Boneyard in the DinoLand U.S.A. section of Animal Kingdom. More specifically, he is in the "Dig Site." This is an area that gives kids a chance to uncover dinosaur bones by sweeping sand from side to side. You'd think that kids would leave this attraction completely filthy. Amazingly enough, this magical Disney sand didn't adhere to our child or his clothes! However, we still needed to dump out his shoes. This is an often overlooked spot where kids can have a great time while the parents relax in the shade for a little while. This photo was taken in January of 2010. This is a picture of the West End section of Downtown Disney. I took this picture while standing on the edge of Village lake right in front of our villa at Saratoga Springs Resort. 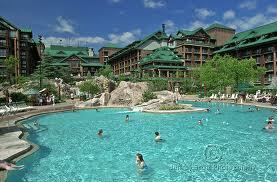 This is a great Disney Vacation Club resort which is within walking distance of Downtown Disney. This photo was taken at the Crystal Palace in the Magic Kingdom back in December of 2008. Our little guy's expression says it all. The kid loves Pooh! This photo was taken in May of 2008. The Pangani Forest Exploration Trail is in the African section of Disney's Animal Kingdom. It is a self guided walking tour allowing you to get amazingly close to African wildlife. You really are able to get within inches of these majestic gorillas. Obviously there is a pretty thick piece of glass between us, but it was incredible nonetheless. The great thing about seeing gorillas here is that they are in a realistic re-creation of their African habitat. Unlike a traditional zoo, they have a huge space to roam and don't seem confined at all. Sometimes guests skip the Pangani Forest Exploration Trail because it isn't a ride or a show, but this attraction is one that should not be overlooked! As I've mentioned in past articles, there are entire websites devoted to individual Disney park attractions. PrettyGoodMovieRide.com falls into that category.......sort of. 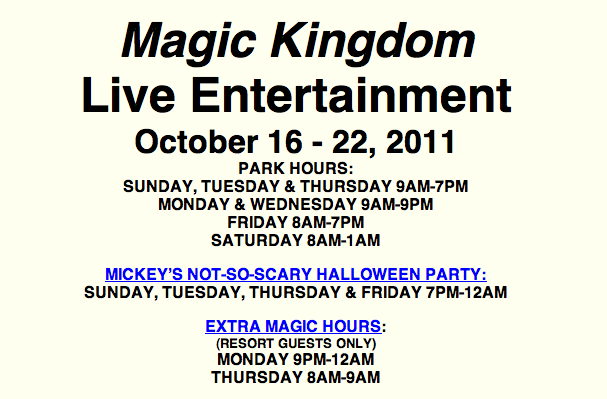 For those of us who love Hollywood Studios, it is pretty easy to tell which attraction is highlighted on this website. In a nutshell, the site is a tribute to the final scene of The Great Movie Ride. As a matter of fact, the entire movie montage that concludes the ride can be seen here. However, this site offers much more than just one video. 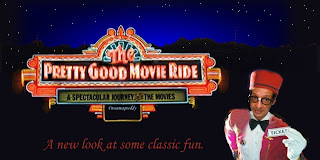 PrettyGoodMovieRide.com was created a few years ago by Glenn Whelan. It is a fun website that is simple, yet very entertaining. It contains six videos that are easily accessible in "theaters" that can be entered right from the homepage. The first montage is the original Great Movie Ride conclusion that was seen back in 1989. It brings back great memories for me as I visited Hollywood Studios many times in the early 90s. Theater 2 contains the best montage as it is an extremely creative "variation" of what is found on the actual ride. Glenn does an amazing job of picking out clips from over 100 "pretty good" movies and setting them to a familiar soundtrack. The quality of this video is fantastic and most of the clips are from movies that I have enjoyed over the years. I can't even imagine how long it must have taken Glenn to create this mini masterpiece, but the final product turned out to be just over three minutes of pure entertainment. Also, much of it is laugh-out-loud funny! The third video on the website takes us out of The Chinese Theater and over to the original version of "The Magic of Disney Animation." There was a great montage of animated features that was shown to guests when the animation building was an actual working studio. Glenn brings us this eight minute movie as it was seen back when the Studios first opened. Theater 4 takes us back over to The Great Movie Ride and into the pre-show area. Here we can see the queue line trailer film that introduces riders to the movies that are depicted in the actual attraction. The final two videos on PrettyGoodMovieRide.com showcase the updated versions of the original conclusion montage. The movie in Theater 5 is from 1999 and the final one is the 2009 version. Although a majority of the clips are the same as the original, scenes were added for contemporary relevance. Most of the additions are from Disney owned films. This a great website for Hollywood Studios fans to see the changes that were made over the years. I would highly recommend checking out PrettyGoodMovieRide.com even if it only consisted of Glenn's original montage. However, the other five videos are great bonuses that shouldn't be overlooked. For those of you who follow the Disney online community, Glenn can often be found contributing to Lou Mongello's WDW Radio Show Podcasts and Newscasts. His most recent sighting was part of the crazy group of Disney enthusiasts who assisted Lou on his 40 hour live show a few weeks ago. Lou and his dedicated team of volunteers helped raise over $17,000 for the Dream Team Project, which helps send seriously ill children to Disney World through the Make-A-Wish Foundation. This photo was taken in April of 2010 at The Seas with Nemo & Friends in Epcot. We are looking into the aquarium, which is one of the largest in the world. Notice the hidden Mickey made of rocks in the center of the picture. This pavilion offers a unique scuba diving experience called DiveQuest. Rumor has it that it was a guest who created the hidden Mickey while on one such expedition. Apparently the cast members liked it and decided it should stay! This shot of the "Tronorail" was taken in April of 2010. Disney altered the appearance of this monorail to resemble a light cycle from the new Tron Legacy movie. It can be seen here traveling through Epcot. We had a chance to ride it on that trip, and it was interesting to see how they accomplished the transformation. Although it looked like the Tronorail was painted, it appeared that they used some sort of huge decal type material to "overlay" the entire thing. This traveling movie billboard was around for the better part of a year. It begs the question: "Will we see a big blue "Avarail" when the new Avatar land gets close to completion?" This picture was taken on our trip in April of 2010. I was walking on the path adjacent to the Sassagoula River at Port Orleans French Quarter. This is the smallest of the moderate resorts and many people like it for that very reason. No matter what part of the resort you are staying in, you aren't too far from the main building, and you are also close to both bus and boat transportation. You can see a boat in the distance on its way to Downtown Disney. This photo was taken in January of 2010. The robot waiter of the future can be seen while riding the exit ramp out of Space Mountain. Most amusement parks don't put much thought into the exit portion of their rides, but Disney continues to entertain us throughout the entire attraction experience. Even if you aren't a roller coaster fan, you can actually walk "through" Space Mountain and take the chicken exit before the boarding area. I would recommend doing this at least once! This photo was taken back in January of 2010. This is the main building in the Canada pavilion at Epcot. Again, Disney does a great job with their attention to detail. Notice the pine trees that would be native to our northern neighbor. Also, you can see how forced perspective is used to make the building look taller than it really is. If you look closely you can see that the windows get smaller toward the top. At the base of the building you can see the sign for Le Cellier, one of the best restaurants (and hardest to get a reservation for) in all of Walt Disney World. This picture was taken in March of 2006. This is arguably the most famous theme park attraction in history, and can be found in every Disney resort around the world. It is a classic boat ride that celebrates international unity and features over 300 audio animatronic dolls. It also contains one of the more catchy tunes of any Disney attraction. However, if you take the journey in the morning, this happy song can get stuck in your head ALL DAY! That's why I recommend setting sail near the end of your day at the Magic Kingdom. This picture was taken in September of 2009. We had a great view of the stage from our balcony seats at the Hoop-De-Doo Musical Revue Dinner Show. This experience takes place several times per night in Pioneer Hall at the Fort Wilderness Campground. It is an entertaining song and dance show which accompanies your dinner of family style fried chicken and other traditional American cuisine. There were 12 of us in our party and a fun time was had by all! There are many great mobile phone apps now available that pertain to Walt Disney World. I have already mentioned many of them on this blog. There are apps that give us wait times as well as show schedules. There are some that contain interesting facts and trivia. There are even dedicated apps that give us the weather for Walt Disney World. Today, however, I'm going to talk about a fun little "attraction app" that is both simple to use but also gives us a ton of useful information. The name of the app is "What 2 Ride." What 2 Ride was developed by one of the better Disney World fan websites, WDWMagic.com (which I will be highlighting in a future article). The premise of the app is that it randomly helps us decide which attraction to ride next. We simply select our current park and land, then literally shake our iPhone or iPod Touch and the app chooses our next attraction for us. If we don't feel like shaking our device, we can also hit the spin button to make the slot machine style interface start rolling. At face value, this app seems to be more of a simple "game of chance" than a practical tool, but it contains much more than just a random attraction selector. As I mentioned above, the What 2 Ride app was created and is powered by WDWMagic.com. This website puts out a tremendous amount of up-to-date Disney World information. Much of this info is available on the What 2 Ride app. When you select an attraction, or have the app randomly select it for you, its name is highlighted toward the bottom of the screen. 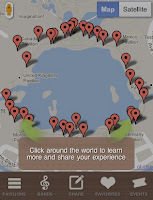 You simply tap on this spot and you are treated to a complete overview of the attraction. This includes a description, photos, news, reviews, and interesting details about it. It even features ride lengths, height requirements and historical data. You are basically getting all of the info that you'd find on the WDWMagic.com website, right in the palm of your hand. It is a fantastic resource for quickly finding out all that you'd want to know about an attraction. In addition to the attraction selector, there is also a tab at the bottom of the app that takes you right into a mobile version of WDWMagic.com. Here you will find a complete and total resource for all things related to Walt Disney World. My favorite section is the "Latest News" which is located right at the top of the page. It contains very current info related to important things that are happening at our favorite vacation destination. 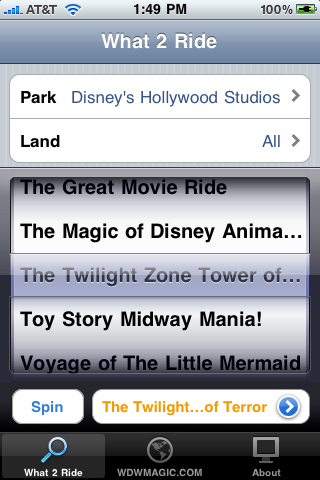 We can see things such as closings, park refurbishments, and even cast member news in this section of the app. The folks over at WDWMagic.com seem to update the news as it happens, and I find this app to be one of the best places to visit to "stay in the know." Whether you are looking for help picking out your next attraction or want to find great Walt Disney World information, I highly recommend the What 2 Ride app. Oh......and I almost forgot to mention that it is completely FREE over at iTunes! This photo of Rafiki was taken back in March of 2006. It was actually taken at "Rafiki's Planet Watch" which is a section of Animal Kingdom which focuses on the environment, conservation and animal well-being. Part of the fun of this area is how you get here. Guests get to ride a train from Africa called the Wildlife Express. For our five year old boy, the train ride IS the attraction! This photo was taken on our most recent trip in July. Notice the well manicured grounds of the Grand Floridian Resort. We had just finished a delicious dinner at Narcoossees, which is just behind the tree on the left side of the picture. You can also see the Contemporary Resort in the distance, across the Seven Seas Lagoon. This picture was taken in April of 2004. It illustrates how well Disney integrates landscaping into the attraction design. They don't just put up a building and stick a ride in it. The Tower of Terror doesn't look too scary during the day with the blue sky behind it, however this view becomes alot more ominous after nightfall, especially on a stormy night. This picture was taken in April of 2007. Like a previous picture of the Caribbean Beach Resort, this calm day afforded my a great "mirror image" shot of a the Coronado Springs Resort. Like the Caribbean, this is a huge, sprawling, moderate class resort with some great theming. There are several great pools, a nice table service restaurant and even a convention center. This picture was taken in December of 2008, in the now extinct Mickey's Toontown Fair section of the Magic Kingdom. Our little guy thought he could open Mickey's mailbox by pulling on his nose. It didn't quite work out, but he had a fun time trying. When it comes to modern technology, the Walt Disney Company is usually on the cutting edge. They are certainly innovators in the theme park industry and are always trying to enhance the guest experience in every way possible. One of the largest special events that Walt Disney World hosts each year is the Epcot International Food and Wine Festival. This six week long extravaganza, which is in its sixteenth year, allows guests to sample cuisine from around the world. It takes place primarily around World Showcase and can be a bit overwhelming for the first time festival guest. This year, Disney has utilized a new technology that allows smartphone users to get the most out of their visit. Barcode scanners have been around for decades. Whether you are grocery shopping, taking out a library book, or attending a professional sporting event, there is a good chance that scanners are being used. This makes things quick and simple, and we are certainly a society who doesn't want to have to wait longer than we have to. Although companies have been using this technology for a while, it has just recently become available for personal use in our smartphones. We now have the ability to use apps, along with the phone's built in camera, to scan things on our own. There are mobile apps that allow you to scan a product while you are in a store. It then lets you know where else this product is available and for what price. Talk about a quick an easy way to comparison shop! Also, many of the bigger retailers are using something called QR codes and this it what Disney is doing at the Food and Wine Festival. QR stands for "Quick Response." Again, in this day and age we don't like to have to wait for information. Instead of having to actually type a subject into a search engine on our phone's internet browser, we only have to scan a QR code to get instant info. These QR codes are usually little square symbols with unique patterns. After scanning the code, your phone will instantly go to a dedicated website that will bring you all of the information you are looking for on a specific subject. This is a great way to get in depth details and specifications while you are browsing products on store shelves. Remember when you would look at something in a store and then had to go home to look it up on the internet? Ok, that was only a few years ago before the smartphone revolution. Remember when you had to go home and research a product by buying a magazine or book to get the necessary information? Now we are talking almost a decade ago. What did we do before that? I think we actually purchased things without knowing every last detail about them. We'd see a commercial on TV and just go buy the product. Life was a bit simpler then! Although cell phones are contributing to our fast paced lifestyles, this technology is really amazing and very helpful in most cases. 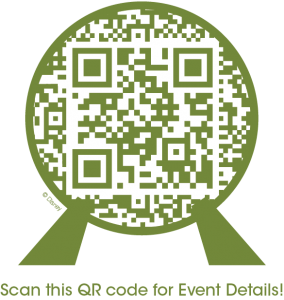 Disney is utilizing QR codes in a new mobile app they developed specifically for this year's Food and Wine Festival. These Spaceship Earth-shaped QR codes can be found on the menu boards at each food kiosk. You simply scan the code with your smartphone (using any QR reader app) and you are brought directly to a mobile friendly website (app) that gives you detailed info about the food at that location. Once you are on the site, you can also access a map that depicts all of the different kiosks and their associated countries. In addition to menus, users also have the ability to get the schedule of festival events, including the musical acts who are performing in the "Eat to the Beat" concert series. Finally, the mobile app allows you to share the info via Twitter and Facebook. 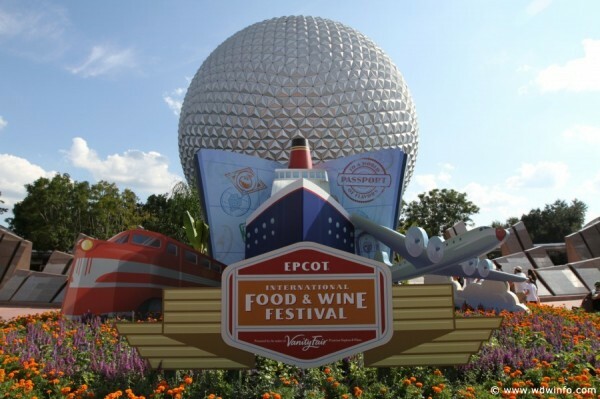 This year's Food and Wine Festival started on September 30th and will continue through November 13th. It is a great opportunity to try foods (and drinks) from all over the world. If you are attending this year, and have a smart phone, be sure to try out the QR technology and mobile app. If you want to access the website without using a QR scanner you can click here, which will take you to the full site. This can be handy for planning purposes, or if you are not going to make it to Epcot this year but want to learn more about the festival. On a completely different note, I have a bit of sad news to mention in today's article. In a blog that is dedicated to technology, I would be remiss if I didn't mention Steve Jobs, who passed away today at the young age of 56. Like Walt Disney, he was a true innovator. It is due to his vision and expertise that we have much of the technology that I write about on Digital Disney World. He was certainly one of the most influential people of our time and will truly be missed. 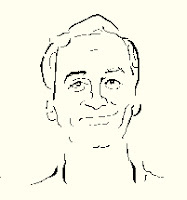 In addition to being the face of Apple, he also owned 7% of the entire Walt Disney Company. Rest in peace Steve. This photo was taken in March of 2008. This is an engraved picture of my wife and I from our honeymoon in 2000. It is part of the "Leave A Legacy" program that was started back in the fall of 1999 in celebration of the millennium. There are a total of 30 polished granite "megaliths" ranging in size from 3 to 19 feet high that adorn the entrance area to Epcot. Each picture is only an inch or so in size and there are 550,000 of them throughout the area. Ours has been there for over a decade, and we visit our little piece of Epcot each time we go to the park. This picture was taken on our most recent trip in July. This is the famous Dole Whip that is made of vanilla soft serve and pineapple juice. We got ours in Adventureland at Aloha Isle, located right across the bridge from the "hub" in the Magic Kingdom. The only other place in Walt Disney World that this delicious treat can be found is Captain Cook's at the Polynesian Resort. This photo was taken with my 5 megapixel iPhone 4. 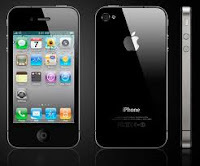 They just announced the iPhone 4S today, which is going to have an 8 megapixel camera. You can bet I'm looking forward to taking Disney World photos with that! This photo was taken in April of 2004. This shot is looking right down the Avenue of the Planets into Tomorrowland. This is quite a different land from when the Magic Kingdom first opened. There have been many attractions added and many have changed over the years. In addition, Tomorrowland was completely re-built and altered back in 1994 to resemble a galactic spaceport as it would have been envisioned by the science-fiction comic strips of the early 20th century. 71. O.T.D. - 10/1/71 - Walt Disney World Opens!